This cozy resort town on the southeastern coast of the Crimea is extremely popular with tourists. And no wonder: favorable climate, velvet sand beaches, and a warm sea have made Feodosiya an excellent place for summer rest; its therapeutic mud and mineral waters have made it a well-known center for health improvement. Interesting medieval architecture and numerous museums only contribute to its charm. Feodosiya, whose name in Greek means "a God's gift," is one of the most ancient cities in the world. Ancient Greeks founded it in 6th century B.C. The antique polis had existed for a thousand years, until it was completely destroyed. 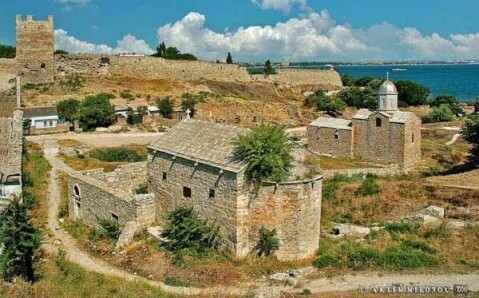 In the 13th century, the Genoese came to Crimea and built a city-fortress on its ruins. 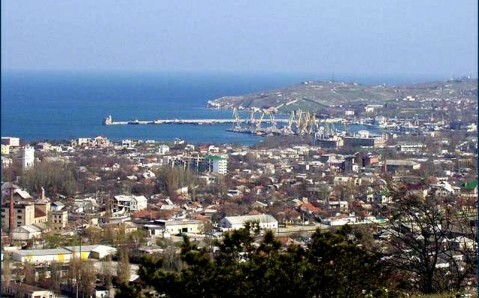 The city was named Caffa and became the administrative center of Genoa’s colonies in the Northern Black Sea. 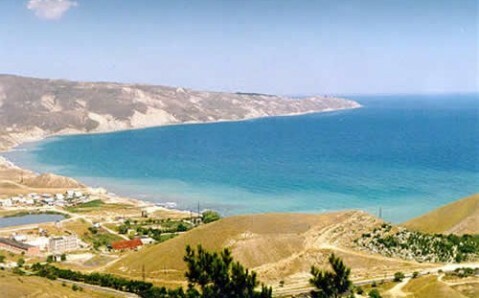 It soon turned into a large port for international trade and became one of the most diverse cities in the Crimea. A tragic event in Feodosiya’s history is connected with the Genoese period. In the 14th century, the plague broke out among the forces of Golden Horde who were besieging the fortress. Then, the nomadic warriors, determined to seize Caffa, began to catapult dead bodies over the city’s walls. The disease quickly spread among the Genoese and forced them to run out of the city. On their way to Genoa, the disease passed to the people they came in contact with. In medieval Europe, the horrible disease extinguished 75 million lives. 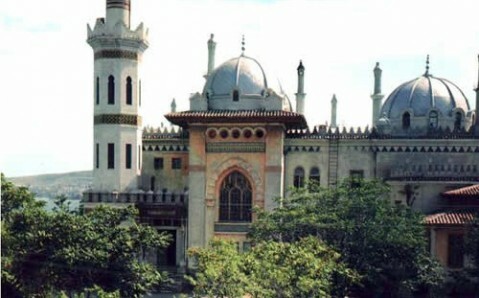 The Ottoman Turks, who ruled the city in the 15th century, turned it into the slave trade center in Black Sea basin. The city slave market was known far beyond the borders of the Crimean peninsula. When the Russians took over, Catherine the Great renamed the city to its ancient Greek name; the city itself sank into decay. Only in the late 19th century did the city regain a sliver of its former prominence, and a hundred years after that it became a tourist hotspot. Numerous architectural monuments from different eras remind us of the city’s rich and bright history. The most attractive of these are the leftover fragments of the Genoese Fortress: the St. Clement and Crisco towers, the citadel gate, and a bridge. Turkish baths and several churches also survived on the territory of the fortress. The remarkable heritage of the Middle Ages is the St. Sergius (St. Sarkis) Armenian Church. It is famous for the unique collection of stone slabs, khachkars, which are considered to be the pride of medieval Armenian art. The temple’s history is closely connected to the great Russian painter Ivan Aivazovsky, who was baptized, got married in, and (according to his last wishes) is buried on the church’s territory. The famous seascape painter left his legacy, embodied in the Aivazovsky National Picture Gallery, to Feodosiya. 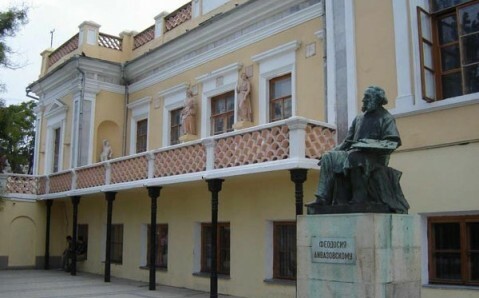 The gallery, which is in the painter’s house and studio, is one of the oldest museums in Ukraine and its collection includes over 12,000 paintings of the sea and its inhabitants. 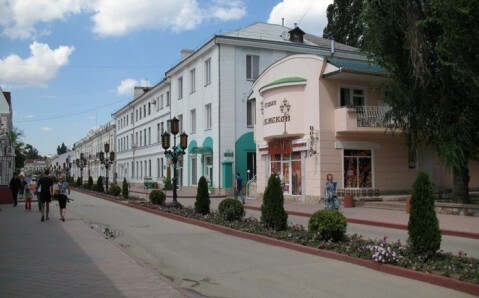 The city’s main avenue is also named after Aivazovsky. One of the most beautiful architectural monuments of Feodosiya is situated on this street, the Stamboli summer house, built by tobacco manufacturer Iosif Stamboli as a present to his wife on their tenth anniversary. This quirky two-story building is one of the most popular sights not only in Feodosiya, but in the whole Crimea. Feodosiya’s countless natural, historic, and cultural treasures have solidified the town’s reputation as a top-notch resort, which caters to all needs and can satisfy all desires!